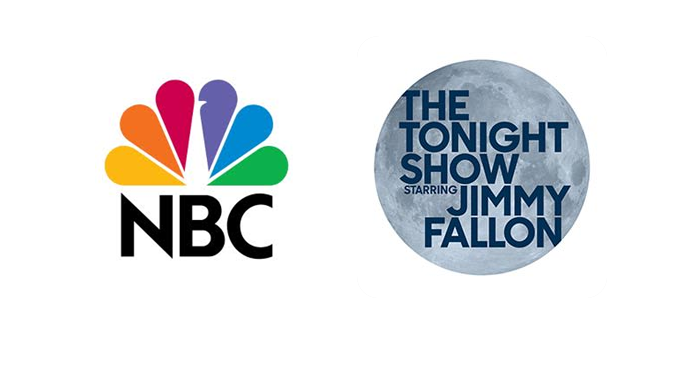 Mainstream Source is pleased to announce that The Tonight Show Starring Jimmy Fallon utilized a track from our Urban/Rap collection for a recent episode with Steve Carell, Lily Collins and Sheryl Crow. 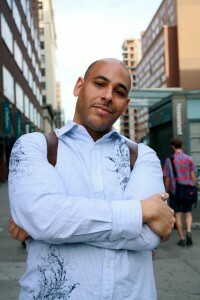 This track, entitled “The Realist” was written by Tad Sisler, Andrew Fraga, Jr. and Lajuana Johnson. This track was also recently released on a compilation entitled “Lyrical Massacre”, available on ITunes, Amazon Marketplace and virtually every other major music source. The Mainstream Source Production team is grateful to have worked with InVision Communications on a recent campaign for a huge corporate client. We conceived and created new music to fit an outstanding presentation, on time and on budget. It is a pleasure to work with this amazing group of professionals. Mainstream Source President Tad Sisler and Vice President Andrew Fraga are grateful to NBC for a recent placement of our original arrangement of a track from our EDM/ Rock collection “Christmas Rock”, on the Today Show. Mainstream Source is delighted to announce a recent placement of our excellent production music on an episode of “In The Motherhood”. Mainstream Source is grateful to the producers of the hit show “Rizzoli & Isles”, on the WB Network for their placement of our quality production music on a recent episode. 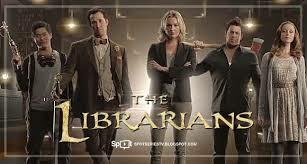 MAINSTREAM SOURCE is delighted to have custom-arranged and produced music for an episode of the outstanding television series “The Librarians” on TNT. Make sure to set your DVRs or go On Demand to watch this excellent series. Mainstream Source is grateful to work with the outstanding staff of filmmakers and editors at Cord Media, assisting their team with custom music tracks for many US National and Regional advertising campaigns, including spots for top casinos and businesses, and a new energy drink. 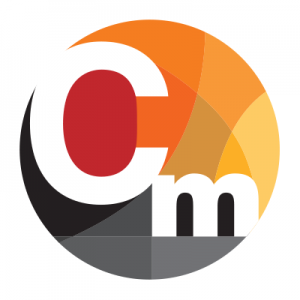 We are proud to endorse Cord Media as an excellent source for advertisers. Mainstream Source is grateful to Guthy-Renker for the placement of Kirk Miller’s “Power” in a recent US National Triverex infomercial. Kirk’s excellent music is featured here in our Artist’s Series Rock collection, including performances by drummer Dave Beyer (Melissa Ethridge), percussionist Burleigh Drummond (Ambrosia), bassist Mick Mahan (Pat Benatar), and background vocalist Rosemary Butler (James Taylor, Paul Simon). 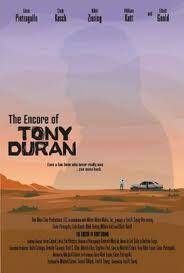 Mainstream Source President Tad Sisler and Vice President Andrew Fraga composed the score to the feature film “The Encore Of Tony Duran”, starring Elliott Gould, William Katt, Cody Kasch, Nicki Ziering and Gene Pietragallo. Mainstream Source handled Music Supervision on the film as well. After winning Best Picture and Audience Favorite awards at multiple film festivals, the film is slated for full release through Cinedigm in 2015. Samples of music from the film can be found in our Standards Collection. 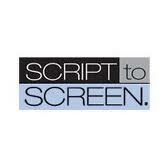 Mainstream Source is delighted to announce a recent placement on a leading infomercial on American national television by our talented friends at Script To Screen. The Mainstream Source catalog features multiple performances by Grammy winners and artists who performed on Grammy winning songs, including Gary Bias (Grammy winner for Best R&B Song), Glen Myerscough (Andrae Crouch and the Disciples), Pat Rizzo (Frank Sinatra), Steve Madaio (Stevie Wonder), Marty Morrell (Bill Evans), Marshall Hawkins (Shirley Horn, Miles Davis) and many others, some of which are featured in our Contemporary Jazz collection. 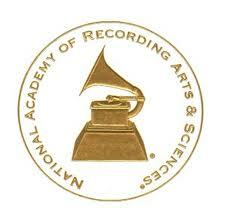 Mainstream Source President Tad Sisler is grateful to be a voting member of the National Academy of Recording Arts & Sciences. 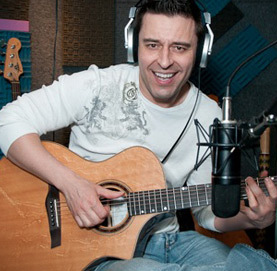 Rob Tardik is riding high on the charts as a Billboard Top 10 artist with his new hit, “Shakin’ The House”. 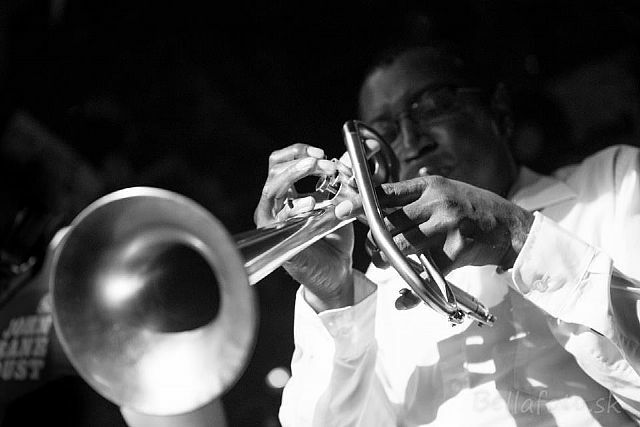 MAINSTREAM SOURCE is proud to present Rob’s music in our Artist’s Series Jazz collection. 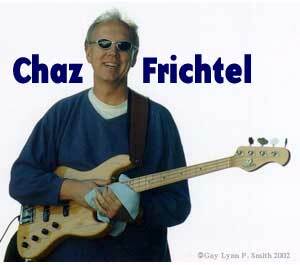 Chaz Frichtel’s graceful performances with Michael McDonald, Chuck Mangione, Christopher Cross and Wilson Phillips led him to his solo projects, including his main title vocal featured on the NBC theme “Saved By The Bell”. His outstanding blend of pop and rock are featured here in the Mainstream Source collection. We’re delighted to work with legendary guitarist-vocalist Chad Quist as a valuable part of our writing-producing team at Mainstream Source. Chad’s performances are all over the catalog, in Classic Rock, Media, Easy Popular Moods, Western, Blues, Modern Classic Soul, and as a featured artist in our Artist Series Rock Collection with Liz Aday, featuring members of Heart, Journey and Smash Mouth. Chad has also assisted us in writing, producing and performing music on many National Advertising Campaigns. Chad grew up in the Bay Area where he began playing piano at age five. He took up guitar at ten and began studying with Jimmy Lyons (Eddie Money), Terry Maderas (Starship) and Jack Eskridge, along with other local Bay Area instructors. From age seventeen to nineteen Chad attended Berklee College of Music in Boston. There he studied music theory, composition and all styles of guitar performance. After his college years, Chad relocated to Seattle. 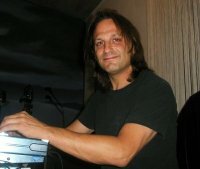 His talents for being adept at many styles on stage or in the studio were soon sought after by the top local acts, from the top-40 scene, to casuals and record work, doing everything from rock, pop and country to fusion and jazz. Some highlights were playing with local favorites where he had the chance to perform on stage with Kenny G, The Platters and Martha and the Vandellas. These experiences led to gigs opening shows for artists such as Ray Charles, Tower Of Power, George Benson, Rick Derringer, Head East, Diane Schuur, Dave Grusin, Lou Rawls, Larry Carlton, Basia, Huey Lewis and Jamie Foxx. In 1995 Chad began a ten year recording career with Muzak. In addition to appearing on close to one thousand Muzak cover tunes on their Environmental channel, he has over 20 of his original songs on worldwide rotation. In ’96 he released his first CD with his band Paradigm Shift and in ’99 he teamed up with partner Liz Aday to form Quistaday. Their release “These Are The Days” was co-produced by veteran Bay Area engineer Wally Buck, and featured Steve Smith (Journey) on drums with Paul DeLisle (Smash Mouth) and Geoff Stanfield (Black Lab) on bass. The CD was released on Groovehouse Records and the band scored an opening slot for Pat Benatar on her ’00 and ’01 summer tours. In 1997, Chad landed a touring gig with Big Brother And The Holding Company, of Janis Joplin fame. His travels with Big Brother have brought him to Europenumerous times as well as Thailand, Hawaii and throughout the continental U.S. 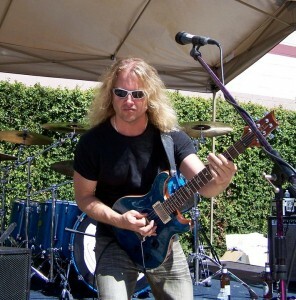 The band has toured on bills with Vanilla Fudge, Canned Heat, Jefferson Starship and Booker T. and the MG’s and recently released the live CD and DVD “Hold Me” which features Chad’s fluid technical skills. More recently, Chad has been out with Glenn Yarborough, backing Glenn on his classic folk songs. Working on his own records led Chad to his interest in producing and engineering. Recent projects include Shyamali Malakar, Nick Deonigi, Light Euphoric and Devorah. In the future, Chad would like to continue to sit in the producer’s chair as well as tour, see the world and play music. 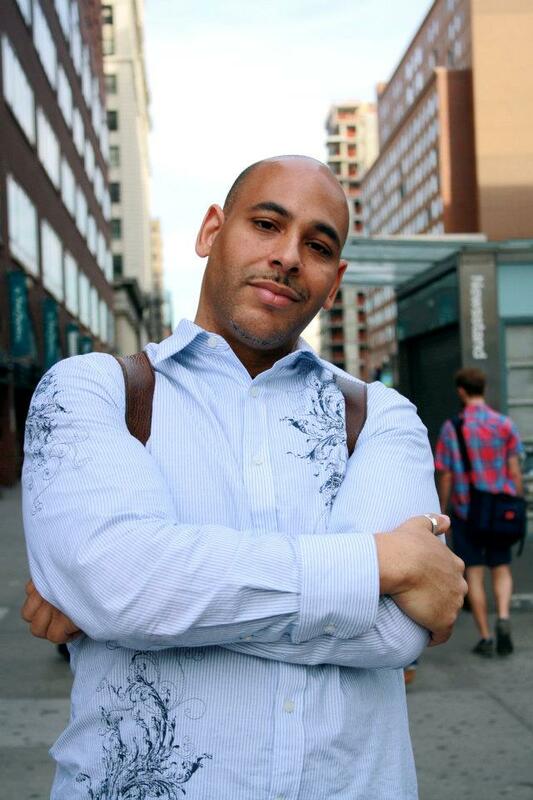 Chad is a voting member of NARAS and a writer and publisher member of ASCAP. Chad is currently residing in Los Angeles working on a variety of projects, following a recent writing stint for “American Idol” alums Sanjaya and Shyamali Malakar’s upcoming releases, dozens of high-profile orchestral and rock gigs, and lending his producing, composing and performing talents to Mainstream Source. He continues a steady diet of gigging, including regular dates at Disneyland and the House Of Blues in Hollywood. Mainstream Source is happy to announce we’ve placed McKenna Rowe’s song “Five Good Reasons” in a major nationally-televised Tria Skin Care Infomercial. Also known as Psykick Girl, McKenna’s soulful voice has often been compared to Annie Lennox, Tracey Thorn and Sia Furler. Her signature sound, described as “funky, organic electronica”, has been featured all over the media, and Mainstream Source is grateful to represent her music in our vast Electronica Collection. As part of our extensive collection of rock music, Mainstream Source is proud to present Indie Rock by the legendary Steve Feldman, co-owner of Monkey Studios and a driving force behind the production of “Desert Rock” icons Queens of the Stoneage, Mondo Generator, Fu Manchu, Unida, SloBurn, Hermano, Yawning Man… and the list goes on. Mainstream Source placed Feldman’s music in a recent Independent Feature Film. Mainstream Source is proud to present the music of producer, songwriter, engineer, entrepreneur and philanthropist Eternal Love. E-Love’s previous production team, owned by business partner Kenny Smoove Kornegay, sold over 14 Million Records, and he himself has already earned 4 Billboard Top 100’s. Mainstream Source is delighted to present driving, urban R&B tracks including legendary performances by Lalah Hathaway (daughter of Donny Hathaway), Don Myrick (Earth, Wind & Fire), legendary saxophonist Gerald Albright, Brenda Lee Eager (Jerry Butler) and Michael [Patches] Stewart (Al Jarreau)[pictured], among others. Mainstream Source would like to extend special thanks to ABC for placing Nick Deonigi’s “Good For Something” in a recent episode of “In The Motherhood”, on our behalf. Nick’s excellent music can be heard within our extensive Singer/Songwriter collection. Mainstream Source composers were delighted to assist Babcock & Jenkins Portland, Oregon division, providing custom music on a recent national advertising campaign. We are proud to endorse Babcock & Jenkins as an outstanding source for advertisers.